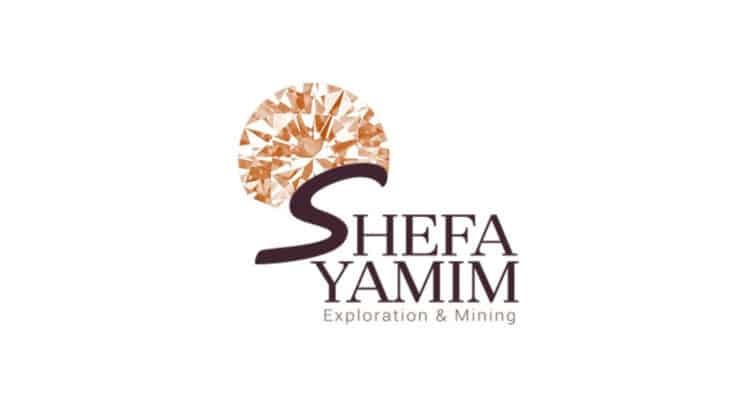 Shefa Yamim (LSE: SEFA), a precious stone exploration company in Northern Israel, announces it has now completed the processing results for five bulk samples at the Kishon Mid-Reach Zone 2, following the exploration results from bulk samples: 1223, 1224, 1225, 1229 and, as previously announced in July 2018, bulk sample 1230. A total of 3,935.60 cts of gemstones were recovered from 2,908.8 tonnes (‘t’) of basal gravels with an overall TMA recovered grade of 135.30 carats per hundred tonnes (“cpht”) at a bottom screen size of 1mm. Of this, the “Gem Box” suite comprised 99% of the TMA, with the heavy industrial minerals (“HIM”) suite of zircon and rutile accounting for the balance of 1%. The findings from bulk samples 1223, 1224, 1225, 1229 and 1230 add to previous Shefa Yamim findings from historical bulk and mini bulk samples in Zone 2, which ranged between 10 and 690 tonnes each. To date a total of 25 bulk and mini bulk samples have been completed with a total of 3,839 tonnes of basal gravel and 6,853 carats of TMA suite recovered. In Q2 2019, the Company plans to carry out an additional three bulk samples in Zone 2 in the area where 26 drilling surveys were completed in June 2018. The three bulk samples planned by Shefa Yamim will conclude its exploration activity in Zone 2, preparing the Company for progress towards trial mining. Shefa Yamim’s historical bulk sampling from Zone 2 (bulk sample 982 from 2012) produced approximately 6 ct of Natural Moissanite™ from 400 tonnes of gravel. The results from this bulk sample also included the discovery of the largest known Natural Moissanite™ crystal at the time, measuring 4.1mm. This finding was published by the Gemological Institute of America’s (GIA) Gems & Gemology journal in Summer 2014, volume. 50. Subsequently, the Company has discovered a larger Natural Moissanite™ crystal in Zone 1 measuring 4.14mm (bulk sample 1124 from 2015). In addition, the Technical Economic Evaluation (“TEE”) report, which is being produced by Paradigm Project Management (Pty) Ltd, is in the final stages and the Company expects to be in a position to publish the results of the report in early February. “The results from the bulk sampling of Zone 2, together with the excellent grade achieved in Zone 1, further highlight the potential of the Kishon Mid-Reach deposits and have led to a significant increase in the level of confidence in the project. We look forward to building on these encouraging results and completing our exploration programme in Zone 2 with our next bulk sampling campaign scheduled for the second quarter of 2019. The bulk samples are sourced from short trenches excavated approximately perpendicular to the paleo-flow direction of the ancient Kishon course preserved in low terraces flanking the modern river course. In following the system adopted for Zone 1, the bulk samples in Zone 2 will also be sited across the paleo-valley to form part of a sample grid to systematically investigate the gemstones content of the paleo-Kishon River basal placer gravels. The bulk sample trenches, some 8 – 20 m long by 4 – 8 m wide, are excavated down to the bedrock (footwall) contact through a total sediment thickness of some 5 – 8 m, of which the basal target gravels comprise some 1 – 4 m. Approximately 530 – 690 tonnes of coarse basal gravels are removed from the field site to the dedicated treatment facility operated by Shefa Yamim in Akko. There the bulk sample is scrubbed, screened (bottom screen size is 1 mm) and jigged (vibrated and washed) to concentrate the heavy minerals which are then hand-picked in a secure laboratory by trained personnel. All sample concentrates are kept for audit purposes and the basal gravel tailings are returned to the original bulk sample trench where, together with the overburden fines, the excavations are back-filled and rehabilitated.